He's teased and seduced into taking a naked ride across Manhattan in order to check out the building for himself. Once there he shown the inner workings of a secret that most people never get a hint of. Marty learns about the CFNM lifestyle first hand. But there's something else going on in the Alasti Building. Something Marty doesn't quite understand. He's being led naked into something. Is it a trap or an amazing new lifestyle that only a lucky few get to know? 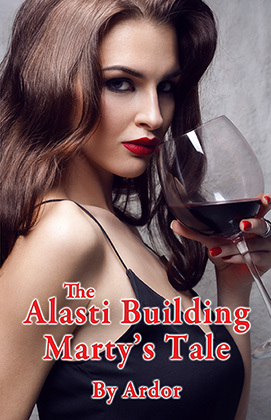 Once The Alasti Building's CFNM secrets are unlocked his, and your life, will never be the same. from this book an Ardorotica podcast #1.
from this book on Ardorotica podcast #2.